TF series is particularly suitable for purifying turbine lubricating oil. 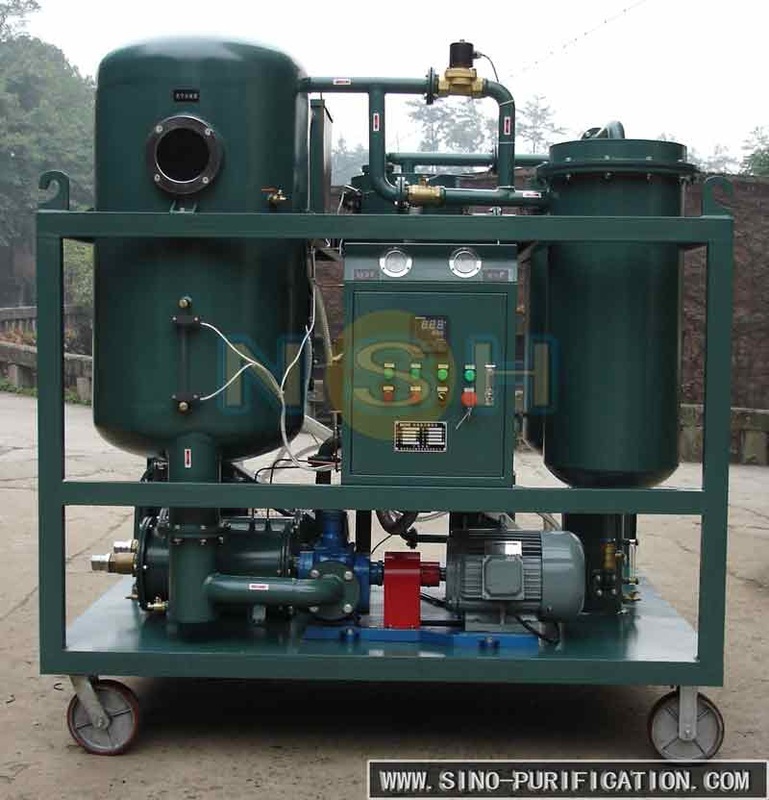 It also applys to treat hydraulic, coolant oil and other lubrication in which contain large of water, vapor, impurities, sludge, dielectric and colloid. It can eliminate them effectively and efficiently. TF series will result in the improvement of the properties of turbine oil, other lubrication and extend the maintenance period of turbine or other equipment which has lubrication system and keep them operate in good condition. TF turbine oil purifier series is developed by vacuum evaporation technology, coacervation technology, coalescing technology, separating engineering technology and refined purification technology. 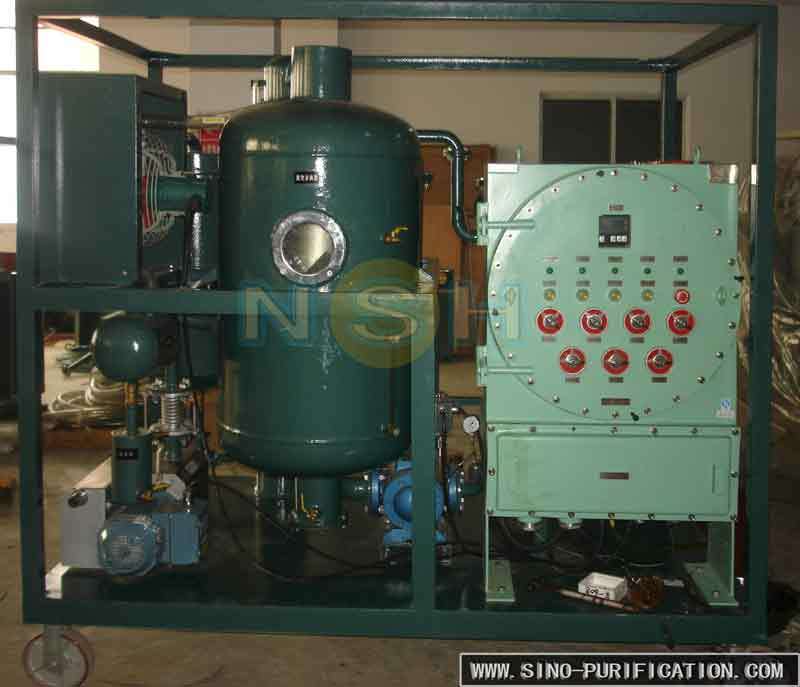 It can eliminate water, gas, impurities, colloid, dielectric etc. rapidly and effectively in high vacuum situation and make the waste oil reuse. 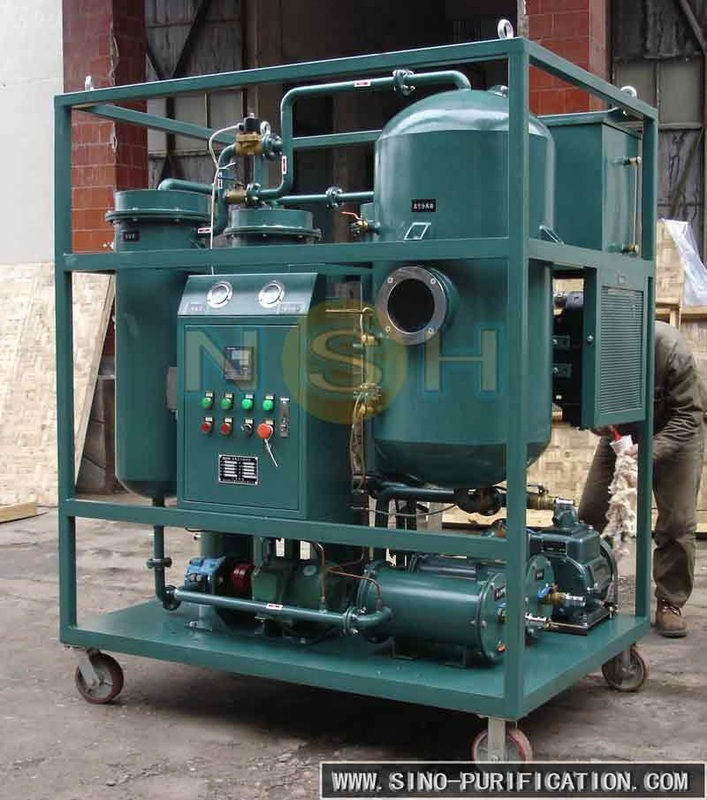 The lubrication of turbine or other equipments which has lubrication system need be replaced frequently because of vapor, water and other impurities mixed with it. Otherwise, oil deterioration would result in breakdown of machinery or affect the normal running of machinery. TF series can effectively extend the lifetime of oil and protect turbine and other machinery which has lubrication system from damage.